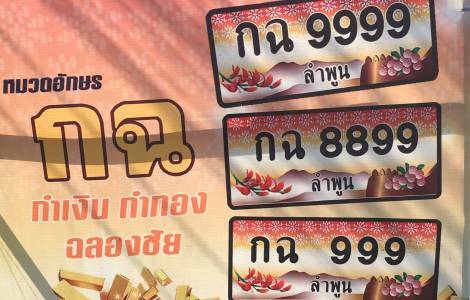 ASIA/THAILAND - A missionary: "At Christmas the 'low profile' of Jesus, beyond the power of numbers"
Lamphun (Agenzia Fides) - "In 2003, a minister from Thailand bought a 100 thousand euro car. In reality the car was worth 10 thousand but had the plate 'NG 9999'. Anyone here would pay out stratospheric figures for a telephone number or a lottery ticket with many 9. Here we choose the wedding dates or festive events that fall on the 9th, better if in August (ninth month)". This is what Don Attilio de Battisti, fidei donum missionary in Lamphun, in the diocese of Chiang Mai, says to Agenzia Fides on the occasion of the upcoming Christmas celebration. Speaking about the phenomenon, Don Attilio explains that in Thailand "many Buddhist rites, parades or civil ceremonies start at 9.09. The 9-level parasol above the temples indicates a temple of royal rank. The banknotes whose serial number has so many 9 is worth ten, twenty times its value. 9 is the most present number in tattoos. Covers, clothes, everyday objects have the much-loved number. Even the prices of many things are 99 or 999 Bath, and this is not because it seems less expensive but because 9 is considered a lucky number. The Thai pronunciation of 9 (gao) sounds like the word 'progress'. As for the numbers, the Thais are very careful. Not just 9 but also other combinations. Yet it is not that around the world people are less superstitious: in China 4 is often substituted with 3A, while 8 means 'prosperity' so much that the Olympic Games in Beijing, began on 8/8/2008 at 08:08:08"
"Numbers have also become fundamental to classify people: how many 'followers' do you have on social networks? How many views does your video have? How many 'likes' did you receive? How many contacts do you have? Everything is counted and the validity or goodness of a thing is measured by numbers", the missionary adds. "Even in religion - notes Don de Battisti - we weigh the proposals or initiatives starting from the figures. Are we many or are we few? More anniversaries are celebrated: 60 years since the Council, 50 years since its foundation, 100 years since the publication of the document. For three years the Church in Thailand has prepared the 350th anniversary of the establishment of the 'Mission of Siam', the first officialization of local Christianity (1669-2019). For our diocese of Chiang Mai, 2019 will be the 60th anniversary of the diocese".